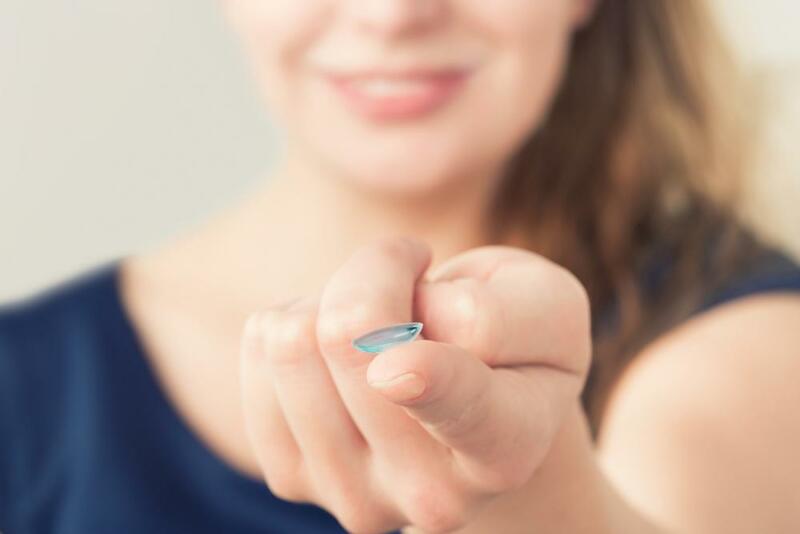 If you want to wear contact lenses but you have a certain vision condition that prevents standard contacts from working, you’re not out of luck yet. You may be eligible for specialty contacts that correct or work around your condition to provide the clear vision you want without wearing eyeglasses. Austin optometrists Dr. Mark F. Hutson and Dr. Peter Tran perform contact lens exams to help determine your eligibility for standard contacts. Your eye doctor will discuss types of hard to fit contacts in Austin if they seem promising for you. If you have astigmatism, the front part of your eye curves sharply to resemble the point of a football. This causes blurred vision and makes it difficult to keep standard contacts in place. Toric lenses are used to work around astigmatism. Since the lens needs to align with the bulge on the front of your eye, toric lenses are designed not to rotate so they fit your eye properly. Because toric contacts for astigmatism are specially made to correct your eye’s specific shape, this type of lens costs more than traditional contacts. Diseases of the cornea make standard contact lenses almost impossible to wear. Scleral lenses are a great option because they’re oversized so they rest on the sclera, or the white of your eye. Made from hyper oxygen permeable materials, scleral lenses are safe and comfortable. They also maintain a reservoir of saline solution, which cushions and moistens your cornea while you wear the lenses. They can be made into any prescription needed, including bifocals. Presbyopia, a normal age-related vision condition that makes it difficult to see things up close, traditionally requires you to either use reading glasses or bifocal eyewear. With bifocal and multifocal lenses, you can continue to wear your preferred form of vision correction with two or more prescriptions needed to see far away and up close. If you have an uncommon condition called keratoconus, wearing contacts may be very uncomfortable. The condition describes a thin cornea that allows the eye to bulge forward, forming a cone shape. Rigid gas permeable (GP) lenses replaced hard lenses because they’re more oxygen permeable for healthier eyes. GP lenses are a good choice for patients with keratoconus and make good contacts for astigmatism, too. They also come in bifocal form for patients with presbyopia. You can order cosmetic lenses from your eye doctor in different colors to camouflage irregularities in your irises or transform your eyes for Halloween. Cosmetic lenses are available in both prescription and non-prescription form. Dr. Hutson and Dr. Tran can help you find the right hard to fit contacts in Austin for your vision needs. To schedule contact lens exams with an Austin optometrist, please call us at (512) 477-2282 or you can also contact us online.